With more than 25 years of diverse industry inexperience, I have been working with both buyers and sellers to make their real estate dreams come true. I’ve been involved in every aspect of the real estate business imaginable – providing an unmatched resume of experience like no other agent in South Florida. My real estate career started in 1986 in New Jersey; upon relocating to Florida in 1991, I was the President of a real estate development, investment and management company based in the Palm Beaches. You can learn more about my experience here. Looking to buy in South Florida? Unlike most realtors, I enjoy working with buyers. I am extremely patient and understand this is one of the biggest decisions and investments you will make in your lifetime. I have access to the strongest marketing systems and utilize the realtionships and networks I have built through the years. 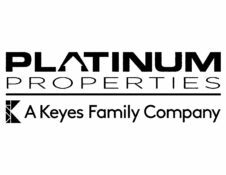 I am an agent with Platinum Properties, A Keyes Family Company which provides sellers and buyers with unsurpassed global internet exposure to reach qualified buyers worldwide. I’m ready to help you navigate through the real estate world.